The family of Sherre Lynn Smith-Jones created this Life Tributes page to make it easy to share your memories. 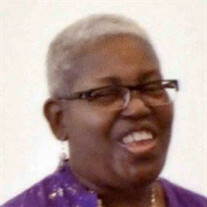 Sherre Lynn Smith-Jones, 61, passed away Thursday, June 28, 2018. Send flowers to the Smith-Jones' family.